African Americans were active participants in the Civil War. 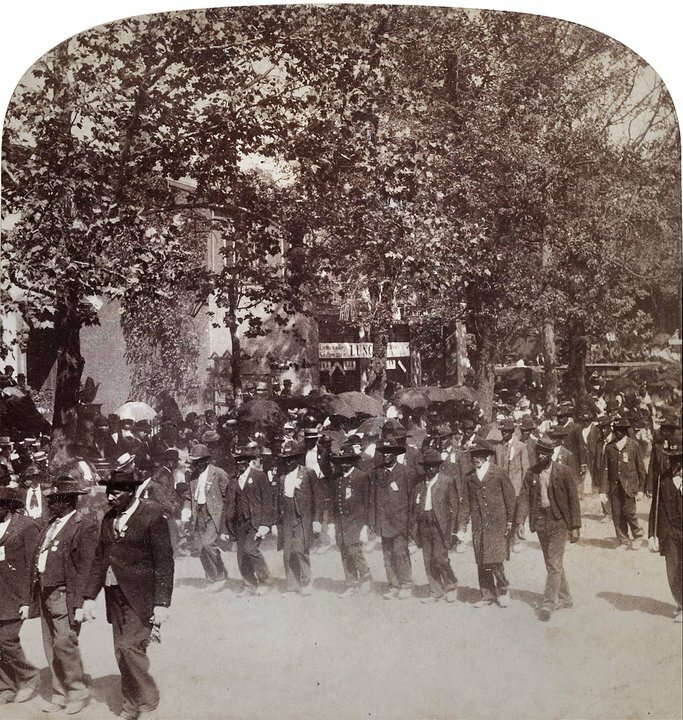 Many contributed to the war effort raising funds, supplying goods and providing labor. Freemen went to conquered confederate territories to work in hospitals, set up businesses and assist contrabands. 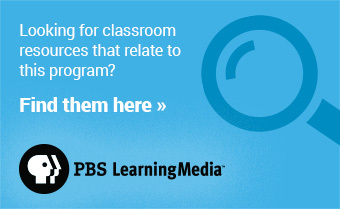 Frederick Douglass and other activists led abolitionist movements influencing Congress and President Lincoln. About 5,000 African Americans served in the Revolutionary War (1775-1783) in the Continental Army and Navy. African Americans also served in the War of 1812. 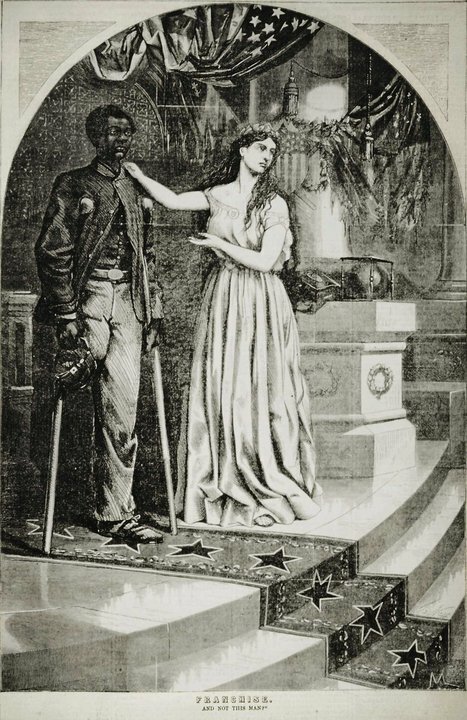 Despite this history of military service, enlistment for African Americans was not an option at the start of the Civil War. The path to acceptance was hard won. Before the Emancipation Proclamation, enacted January 1, 1863, a few generals and politicians attempted on their own to raise units of black troops. In mid-1862, Union General David Hunter, commander of the Western Department, while overseeing territory in the South, ignored race and created a troop of contraband soldiers. They were not approved by official Washington and were disbanded. However, he did eventually manage to organize an armed police guard of contrabands. These men later became part of the 1st South Carolina Colored Troops Regiment. 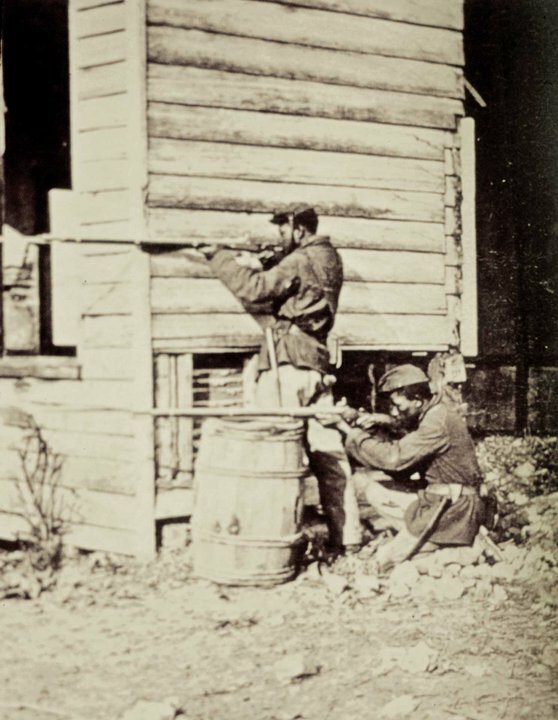 In New Orleans, the largest Southern city, the Confederate Army trained about 1,400 colored troops in February of 1862, but when Federal forces surrounded the city in late April, the colored troops were abandoned by their own army. Many were eventually enlisted by the Union as the 1st Regiment, Louisiana Native Guards. 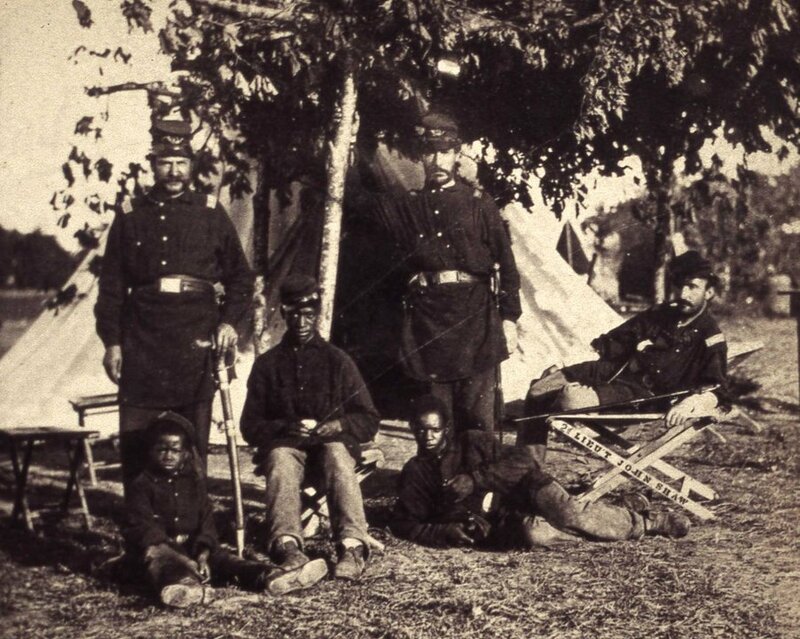 Colored troops served regularly in many Southern units and at Second Bull Run in September 1862 about 3,000 were noted to be part of the victorious Confederate Army. The perils of life at sea from epidemics to accidents discouraged men from joining the navy. Needing more sailors, Union Secretary of the Navy Gideon Welles issued a directive on April 30, 1862 that contrabands could enlist. Many signed up. Much data has been lost, but the latest material suggests that one sailor in four was black. As the Navy was increasing its numbers, President Lincoln was under pressure to eliminate the racial barriers in the Army. A major concern was that the Union slave-holding border-states would revolt. In May 1863, just five months after the Emancipation Proclamation took effect, the War Department issued General Orders No. 143, establishing the United States Colored Troops (USCT). African Americans could now put on the blue uniform and fight to free their brethren. 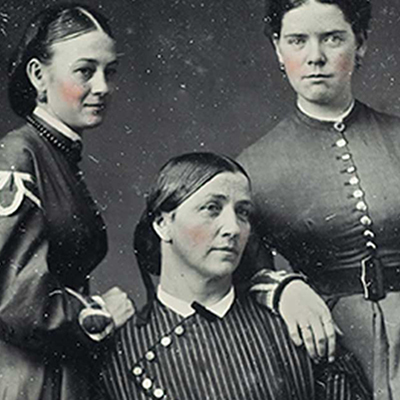 It wasn’t until 1864 that pay, rations, medical care and other military necessities were equal for all troops. 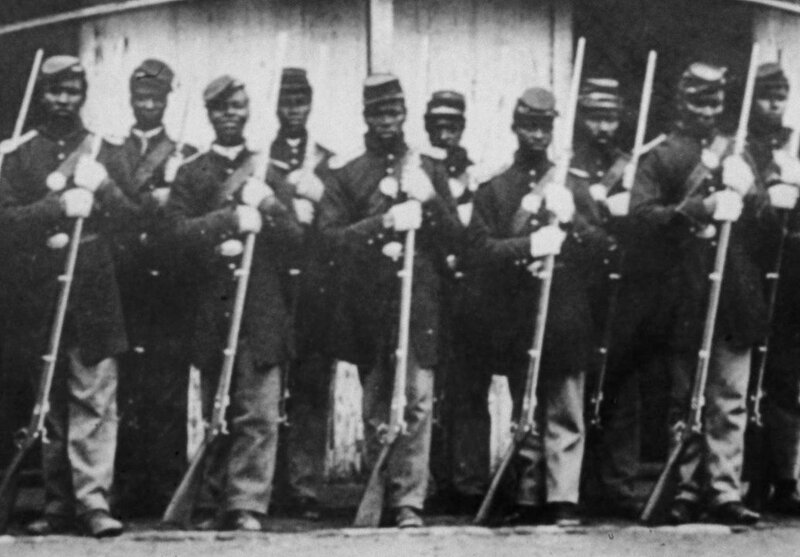 By war’s end, over 180,000 African Americans served in the Union Army and 30,000 in the Navy. In addition, thousands of contrabands served as military laborers, some as servants to Union officers. 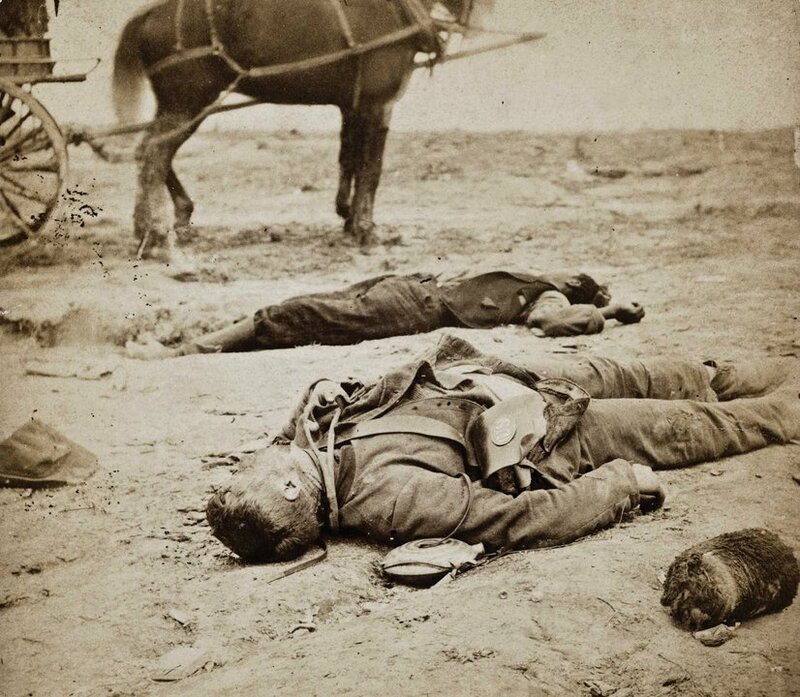 Many would die on the battlefield, deaths that have only recently been added to the total casualties of the Civil War - now estimated at 750,000. 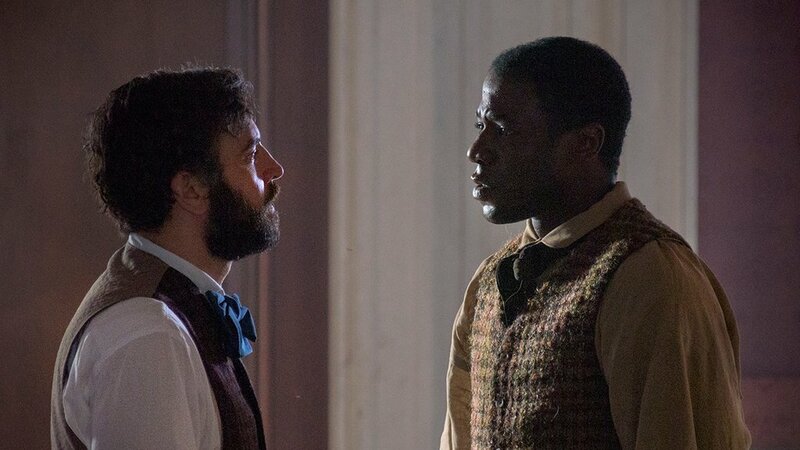 African Americans were not permitted to enlist in the military in the the spring of 1862, when Samuel Diggs comes to Mercy Street’s Mansion House Union Hospital. He toils at the hospital as a laborer. He secrets a knowledge of medicine having been an informal physician’s apprentice in a doctor’s household in Philadelphia. He proves himself invaluable. 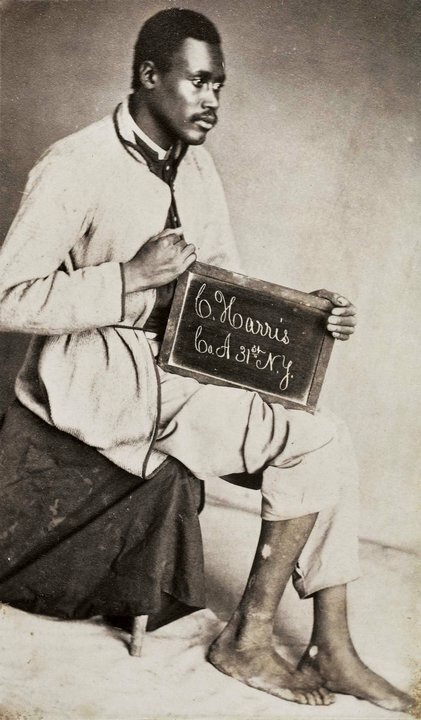 Limited to manual labor, many contrabands work in the hospital as attendants, janitors, laundresses and cooks. In 1864, the L’Ouvre Hospital was built in Alexandria. It was for the U.S. Colored Troops, as well as barracks for contrabands. A marker will be placed later this year in Alexandria to commemorate it.